Nagatoro is famed for its beautiful and aromatic winter tree blossom; wintersweet. Nevermind that the official address of the Nagatoro Hodosan Wintersweet garden actually seems to be in Minano Town not Nagatoro Town! 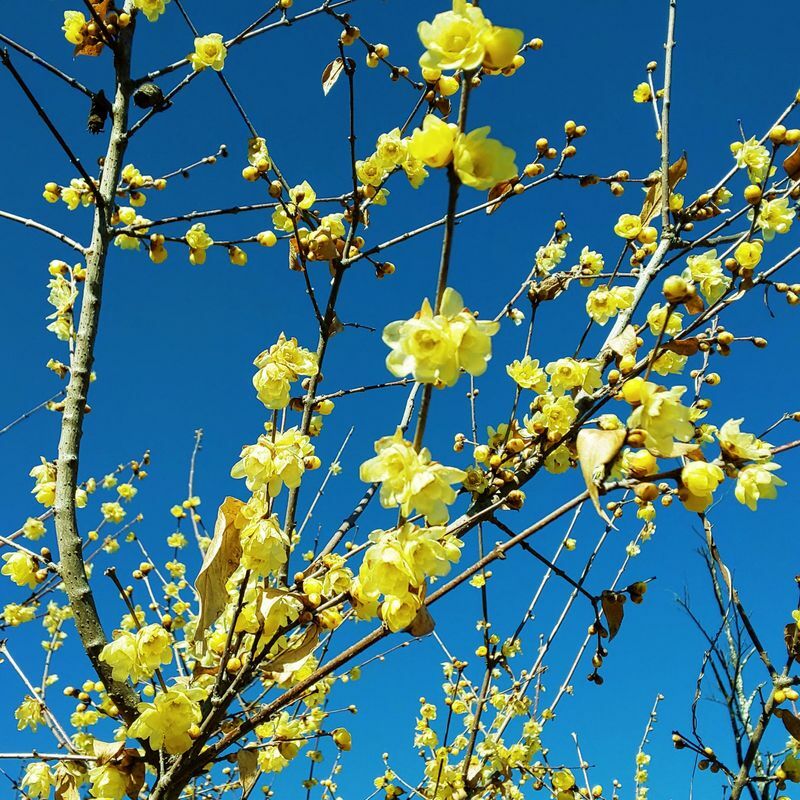 The wintersweet blossoms are a magnificent yellow, with the most captivating sweet aroma. They bloom from early January to about the third week of February with prime viewing right about now (the last week in January). People come from far and around to enjoy the wintersweet festival at 497 metres. The "garden" is a grove on the side of the mountain and there is no charge to view them. But if you want to get the ropeway rather than hike to the top of the mountain that is charged and it is a little pricey considering it only takes 5 minutes from the base station to the summit station.